AI by itself is no new concept. Around in some form or other for many years, it's gained much attention in recent years due to recent advances in supporting technologies that have improved computing power and storage. The explosion of the Internet and the vast amounts of data it has generated have also played a key role since AI development relies heavily on the quantity and quality of input data. Up 141% from 2016, global private funding for AI startups crossed US$15.2bn in 2017, with 48% of that going to ventures in China and 38% to American companies. Indeed, 2017 saw unprecedented growth in AI development, with 1,100 new AI startups mushrooming around the world. Global spend on cloud services, an important aspect of AI and data management, is set to cross US$ 383bn by 2020. Weaker public funding for AI research in the US, juxtaposed against China's policy commitment to achieving AI superpower status by 2030, will most likely see a shift in development and leadership favoring China, regardless of how much premium American companies place on recruiting top graduates. Though a subject of many debates on design and ethics, AI is already considered a new factor of production with a deep impact on how the future global order will look, and AI research is already a priority for most major powers. Though various enterprises have achieved and executed sophisticated forms of AI in their applications and services, we are yet to reach the point where AI can actually communicate meaningfully with humans. 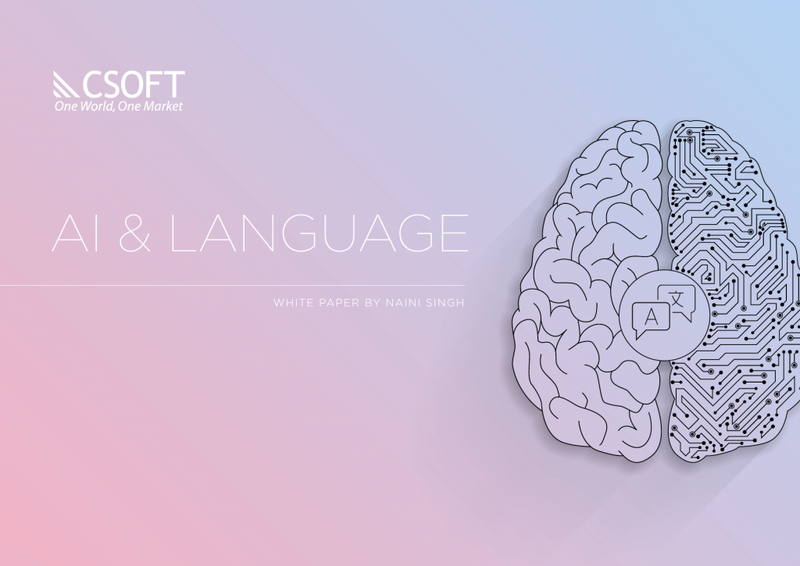 Language-proficient AI useful in localization, marketing, and translation firms depends heavily on the development of AI that can communicate coherently using human languages, within which natural language processing is a crucial branch.